You know how I keep saying that my daughter has been making stock up on basic flavors recently, well.... I think it's starting to drive me a little bonkers. And it looks even better once you dig in.... well, cookie wise that is. I'm trying to ignore the GIGANTIC ripples left by the fact there is so much air (and so little fat) in here but it's still just a slimy frozen dairy dessert.... what ever happened to my gritty all natural breyers? This one is soft, squishy, and offers little resistance. This isn't the Breyers I grew up with. Oh the rich Oreo wafer flavor is still here, you know, the one you can only get with huge chunks of wafer, but the stuff holding it together is melting in seconds. so squishy... almost slimy... very sad. You know, I hate that I don't even have the choice of going with their old recipe. Curse you Breyers, I can't wait until you learn of the foolish thing you've done here. We're you frustrated that I had moved on to Ben & Jerry's and all the other premium ice creams? Is that why your mad? Or is it the new competition from outside sources like Blue Bunny and Turkey Hill? What is it Breyers because you need to knock it off and get back to your old recipes. 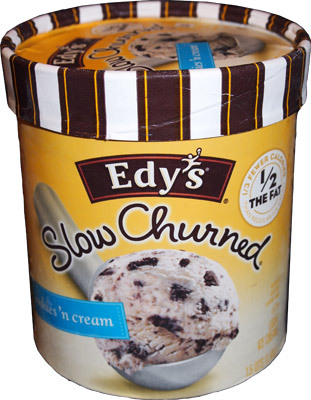 I think Edy's is a little behind in the category of true wafer flavor, but the texture is less annoying here. Frozen Dairy Dessert vs Light ice cream really can make a difference. If I had to pick between these first two, I'll go with Edy's. 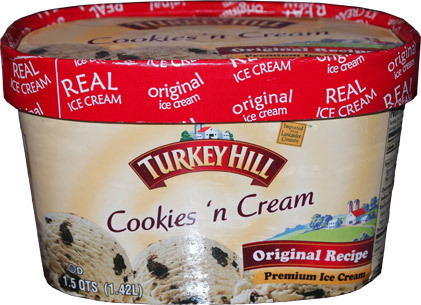 I've been so spoiled by diversity that I just can't seem to settle into this Turkey Hill ice cream despite it being more enjoyable than the other two. It's a classic main stream CnC and I don't have any complaints really. I'm just not in the mood for it. 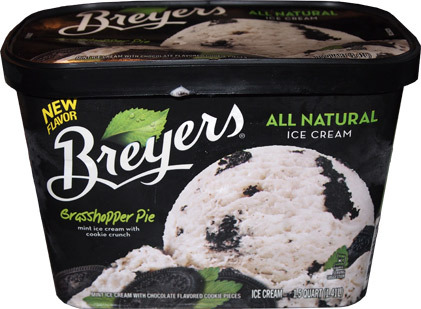 I quote "new" because while this is a new permanent flavor in the Breyers all natural ice cream 2012 rotation, we did in fact see this last year as the limited edition American Summer grasshopper pie. 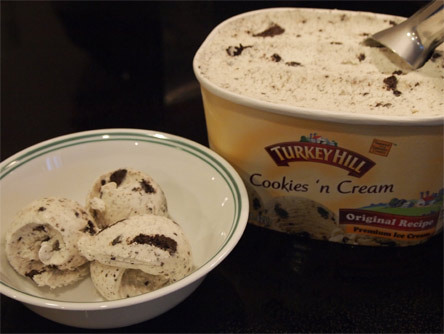 Now it's mint ice cream with cookie crunch but I think we all know that's probably a fancy way of saying mint cookies and cream. That's not necessarily a bad thing, but how much cooler would it read if it said there were mint chocolate bits or chocolate flakes too? Sorry, I'm getting ahead of myself, I need to taste it first and then see if it needs improvement. 2013 Update: And it's dead already. 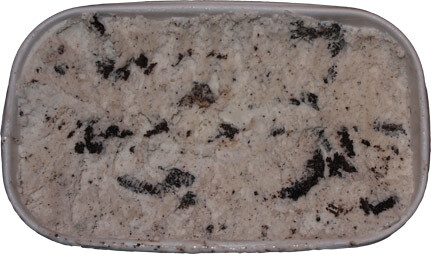 Well, it's certainly a decent looking ice cream (notice there are no giant air ripples). We've got wads of cookie crunch instead of wafer bits (or a swirl for that matter), plus we've got bits of crunch everywhere, so it looks good enough. The cookie crunch hunks are definitely a different start, and right now, I need different! I know I can seem like a negative fellow, so let's start with my favorite part: It's cold! 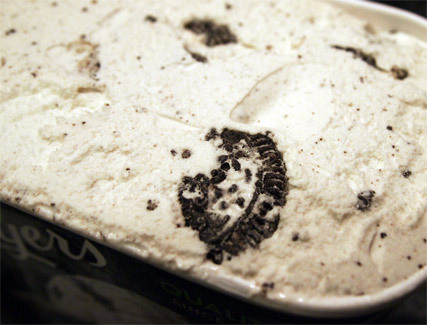 Yes, I know it's ice cream, but it's got that kind of mint flavor that freezes up your insides real good. It's just neat. I know it's the same temp as every other ice cream, but it feels 10-15 degrees cooler. Very cool. I also appreciate the clean taste and lack of gumminess. It's not thick or solid like a super premium, but a straight ice cream is so much better than a rubbery frozen dairy dessert. It's nice to know that somewhere in the bowels of the Breyers factory, they do still know how to make an all natural ice cream. 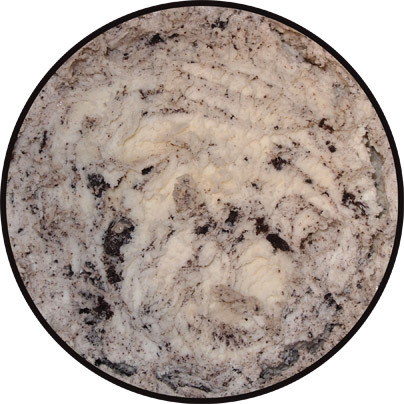 Sure, the overall base could be creamier, it's actually kind of got that frozen milk / mild watery vibe but maybe that's why they call it grasshopper pie and not mint cookies and cream (ahhh, probably not). My point is that it's nice. It's an easy eating bowl that will have you going "yeah, I think I need a bit more". It's got that clean classic Breyer's taste that I've been missing. It's not perfect and it's no creamy super premium, but it's the kind of crisp flavor that I don't know why we don't have more of. Time to go scoop another bowl! I was going to call shenanigians at this being new seeing as I've seen their mint cookies & cream in the freezers all the time. 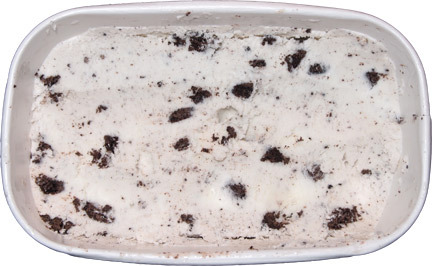 That is until I looked at their website and found this http://www.breyers.com/product/detail/113859/mint-cookies-cream If you look closely it does say grasshoper pie in small letters but it's also a fdd. So I'm guessing this is new in the fact that it is no longer a fdd and is now ice cream.